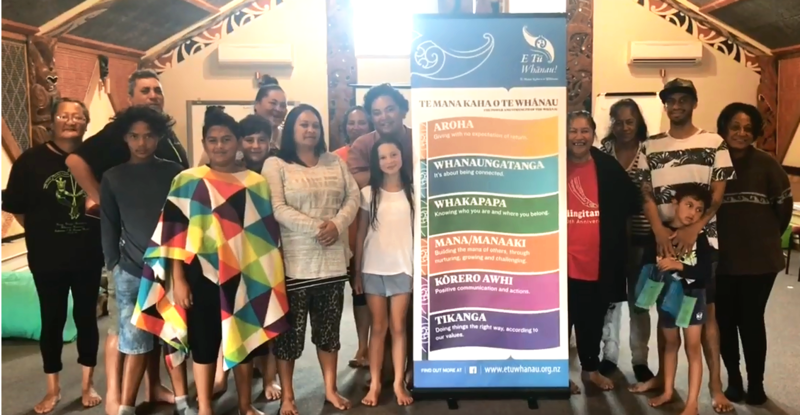 In January this year, a group of Kahungungu ki Wairarapa whānau gathered in Tamatea Pokai Whenua, their wharenui on Mangakino’s Pouakani marae, to assess progress made since their first involvement with E Tū Whānau three years ago. They talked of children in Oranga Tamariki care reunited with whānau. Young pakeke questioned the roots of their own violent behaviour. They talked of rejecting dodgy lifestyles, embracing good jobs and healthy ambition. Others spoke about trusting each other to solve problems collectively, of breaking the silence that festers when people feel they must keep their struggles to themselves. They talked with pride of their history, of the courage and resilience of their tīpuna and the profound impact colonisation has had on them as a people and as individuals. They’re on a journey and they all agreed that they’re going in the right direction. Day one was a textbook example of ‘cross-cultural community building’. Māori simply call it manaakitanga. Memory Te Whaiti was one of the organisers. Memory knows a lot about the injustices faced by her tīpuna from the early 20th century, when they developed the barely fertile land given as inadequate compensation for the loss of their rohe on far away Lake Wairarapa. She and her cousin Noelene Reti called everyone together for the very first hui out of frustration at the aftermath of that injustice – the unacceptably high levels of violence, substance abuse and ill health affecting some of their whānau. Manuhiri were blown away by the experience calling it challenging, absorbing, professionally facilitated and welcoming. One of them, local businessman Shaun Swan, knows Memory through the local school community. The second and third day of the hui were given over to the whānau themselves. E Tū Whānau stalwarts, PJ Devonshire and his partner Pania Haruru have been at every hui, sharing their knowledge of Kahungungu lore and their own experiences of regaining tikanga Māori and living the E Tū Whānau values. “E Tū Whānau is a kaupapa embedded in the Māori world view,” PJ said. They talked about family violence, how whānau must challenge perpetrators and how they need to stand by those whanaunga who are also perpetrators. One woman talked of her hurt and confusion when facing her brother’s behaviour. Whānau shared stories of change. Some were small, others substantial but they all stemmed from kōrero shared over recent years at these wānanga. Tamariki removed from their meth addicted parents by OrangaTamariki are back living with grandparents. Their aunt Hinehuirangi, a young mum herself, said the first E Tū Whānau wānanga encouraged everyone to question their acceptance of the parent’s dysfunctional behaviour. It kick-started the change that led to the return of those tamariki to whānau. Memory’s son Te Kawekairangi said the E Tū Whānau kaupapa helped whānau communicate better with each other. He’s had his share of trouble but credits the E Tū Whānau kaupapa with helping him understand and work on his own issues. “I’ve gathered up a lot of tools by doing this; it’s whether I want to apply them or not,” he said. Te Kawekairangi is full of enthusiasm for his job as a dairy hand on ‘Wairarapa Moana’, the incorporated farm they all whakapapa to. He’s following in the footsteps of his grandparents, great grandparents and great uncle who developed the farm and laid the groundwork for its current success. His future is full of hope. Noelene talked of whanaunga who had died and their importance in the E Tū Whānau journey before acknowledging a young father who’d come along with his young son. For two days whānau sang and studied waitata full of whakapapa and stories of the land their tīpuna lived in and named. Many of those tīpuna live on in the carvings in Tamatea Pokai Whenua. On the last day, they discussed what they’d learnt, their plans for the future and using the E Tū Whānau values and resources as a framework to continue exploring the unique history of their Kahungungu ki Wairarapa iwi. Noelene finished by telling whānau that together they had the knowledge to make the changes they wanted to see in their community.